We all know that kids everywhere just love marshmallows. 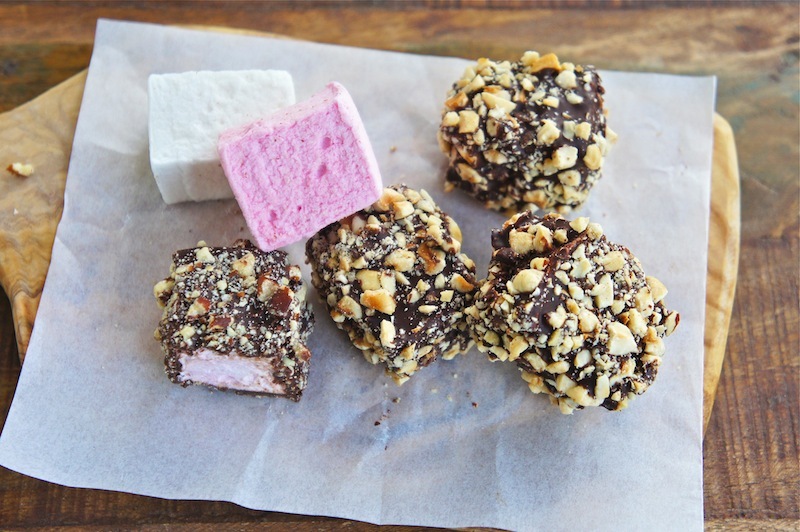 However, this kiddie snack elevates into a fantastic festive treat for everyone when dipped into melted chocolate and rolled with crushed roasted nuts. 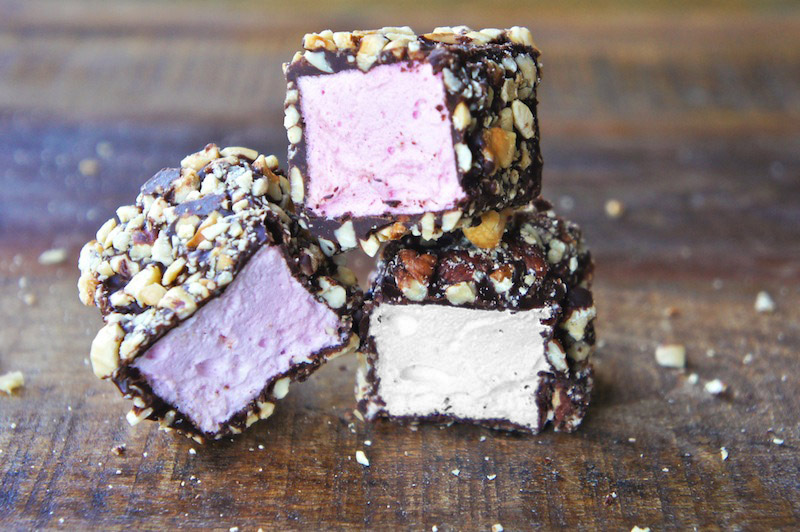 For the upcoming holidays, these Chocolate Marshmallows makes an impressive gift too! Line a tray or large flat plate with parchment paper. Spread the crushed nuts on a flat plate. Melt the chocolate in the top of a double boiler, making sure that the water doesn’t touch the top bowl. Remove from the heat and let the chocolate cool for a few minutes. Drop the marshmallow in one at a time, turning them around so that they are completely covered. Remove with a skewer roll in crushed nuts to coat evenly. Return them to the lined tray, and let them set completely in the fridge for about an hour and served chilled or at room temperature. I think these would be the best marshmallows ever! Super yummy photo. I really like the contrast of the pink ones and don't think most people would expect it when biting into a marshmallow. Delicious.